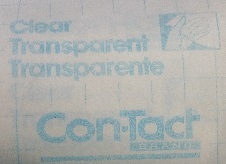 After testing various masking papers I was realized that clear Con-Tact paper (used for shelf paper) would be the best masking to use. 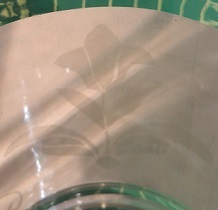 Since it is clear the etched portions could easily be seen. 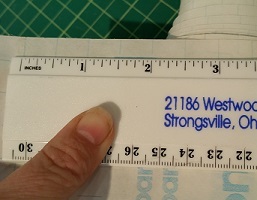 Be careful to measure out the amount of Con-Tact paper needed to cover just the embellishments. 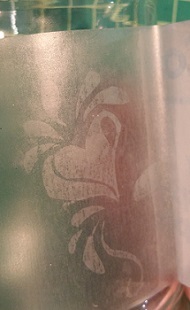 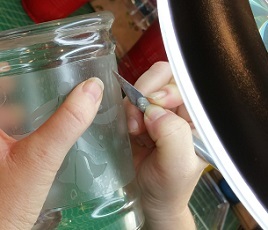 Peel off the backing and apply the Con-Tact paper over the design area of the jar. 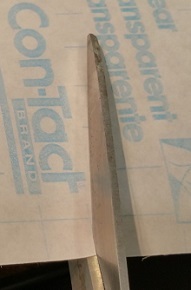 Then using an Exacto knife cut out the Con-Tact paper where the design is. 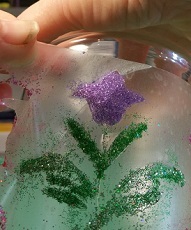 The part that is cut out will be where the glitter goes. 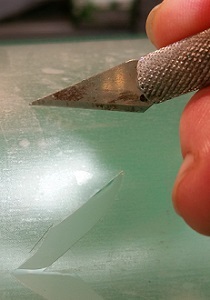 Tip: I ended up using a magnifying light to make sure I got the edges right as I cut. 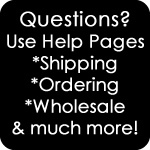 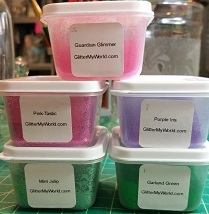 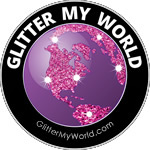 I chose the Beacon Glitter-It brand glue (fabulous for gluing glitter to glass). 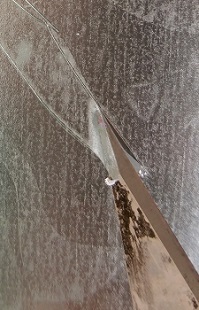 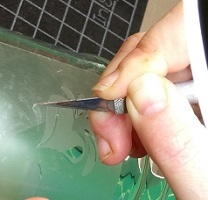 There are other glues out there, but make sure that it is OK for glass or it will peel off. 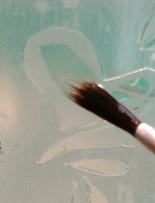 I painted each embellishment with glue and being careful not to overlap onto the Con-Tact paper too much. 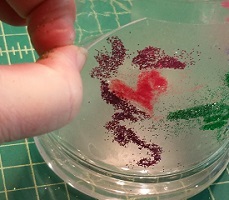 Then I added glitter by finger pinches and finally finger pressed the glitter into the glue. 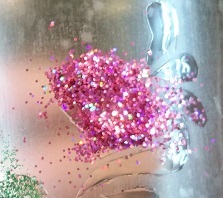 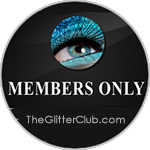 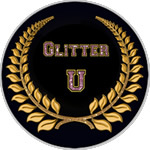 I chose to use Iridescent glitter, but just about any glitter will work for this project. 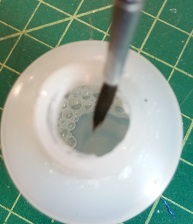 The last two steps were to let the glue dry, then carefully peel the Con-Tact paper off. 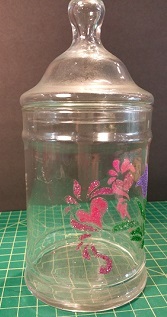 This Glitter Jar can be used for candies, spices, or other small item storage while adding sparkle to the counter or table it decorates. 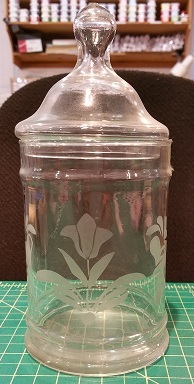 There is nothing like taking an old tired jar and giving it life again!